UPDATE: A Hillsborough County firefighter accused of leaving his son in a hot car for several hours has bonded out of the Pinellas County Sheriff's Office and is now on paid administrative leave. 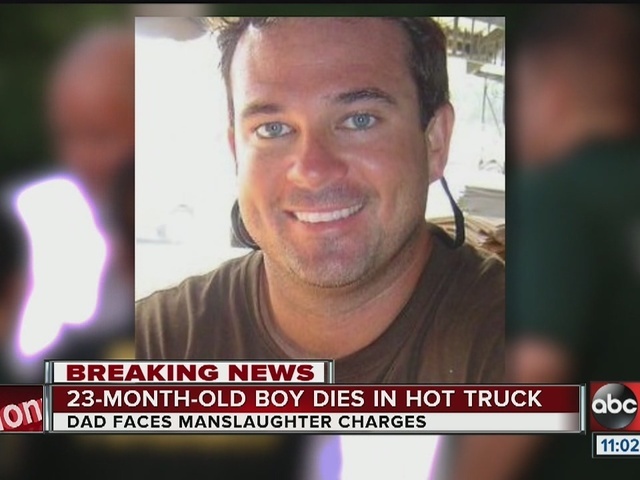 PALM HARBOR, Fla. - The Pinellas County Sheriff's Office is charging the father of a young child found dead inside of a vehicle with aggravated manslaughter. Deputies received a call around 4:30 p.m. informing them a 23-month-old boy was left inside of a truck in the driveway of a home on Castlewood Lane in Palm Harbor. According to the Pinellas County Sheriff, the boy, Lawson Whitaker, had been dead for sometime. Later in the afternoon, Whitaker went to Publix and drove home. While unloading groceries, he noticed his son in his car seat. He immediately pulled his son out, performed CPR and called 911. Unfortunately, his son was already dead.